With 30 years of experience, Ms. Cheswick provides objective financial guidance and unbiased investment advice to individual and institutional investors. She takes a personal approach to understand the financial goals and the lifestyle needs of each of her clients to provide full-service long-term financial solutions and to educate clients on the complexities of the financial world. 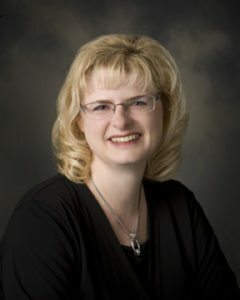 Since 2008, Donna has been a Certified Divorce Financial Analyst and helps clients and their attorneys better understand the financial complexities surrounding divorce and forecasts the long-term effects of alternative settlement proposals. She is also trained in divorce collaboration. Donna presents seminars/workshops on a variety of topics relating to finance and divorce. She writes articles that have been featured in local and national print and online publications and radio. Donna facilitates and teaches monthly Divorce Workshops for Women and is a guest speaker for local DivorceCare groups. Ms. Cheswick is very active with local networking and community organizations. She is a member of Women’s Business Network and serves as the organization’s Publicity Director. She is also the facilitator of Business Women Connect, a local women’s networking resource, and is a Court Appointed Special Advocate (CASA volunteer) for children suffering from abuse and/or neglect. Donna lives in Penn Township with her husband and has two grown sons. To receive the Five Star Wealth Manager award, individuals must satisfy a series of eligibility and evaluation criteria associated with wealth managers who provide services to clients. Recipients are identified through research conducted by industry peers and firms. Third party rankings and recognitions from rating services or publications are not indicative of past or future investment performance. For more information go to www.fivestarprofessional.com.